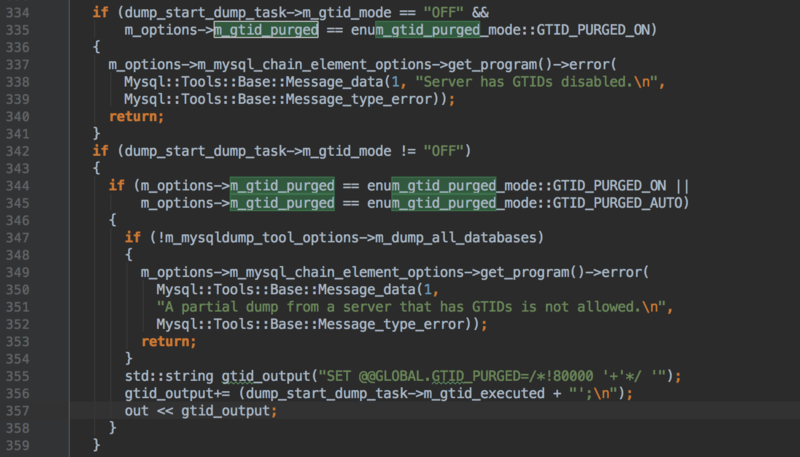 This option enables control over global transaction ID (GTID) information written to the dump file, by indicating whether to add a SET @@global.gtid_purged statement to the output. This option may also cause a statement to be written to the output that disables binary logging while the dump file is being reloaded. ON  Add a SET statement to the output. An error occurs if GTIDs are not enabled on the server. AUTO    Add a SET statement to the output if GTIDs are enabled on the server. --set-gtid-purged=OFF: SET @@SESSION.SQL_LOG_BIN=0; is not added to the output. --set-gtid-purged=ON: SET @@SESSION.SQL_LOG_BIN=0; is added to the output. --set-gtid-purged=AUTO: SET @@SESSION.SQL_LOG_BIN=0; is added to the output if GTIDs are enabled on the server you are backing up (that is, if AUTO evaluates to ON). 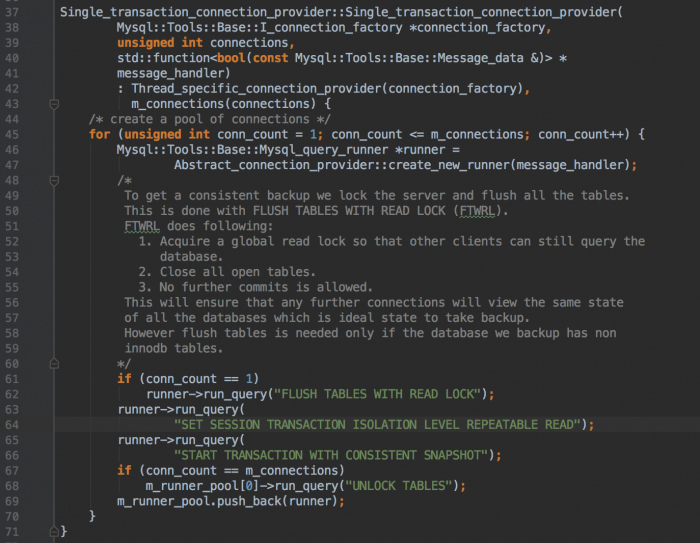 mysqlpump: [Warning] Using a password on the command line interface can be insecure. 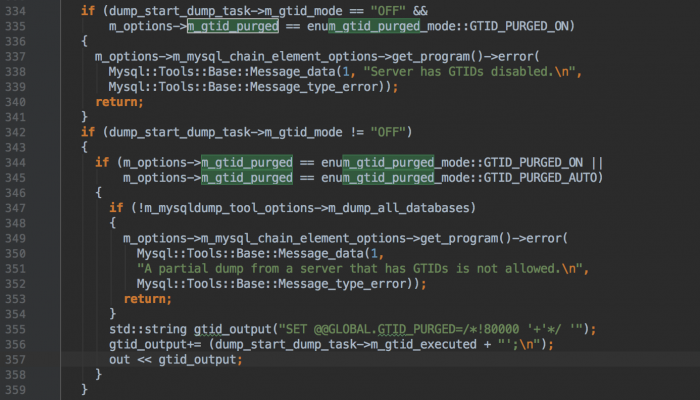 mysqlpump: [ERROR] (1) Server has GTIDs disabled. Dump process encountered error and will not continue. To get a consistent backup we lock the server and flush all the tables. This is done with FLUSH TABLES WITH READ LOCK (FTWRL). 2. Close all open tables. 3. No further commits is allowed. of all the databases which is ideal state to take backup.